On Wednesday the 27th March, Manchester-based singer, The Chanteuse, graced the Students’ Union with her presence and powerful tunes. 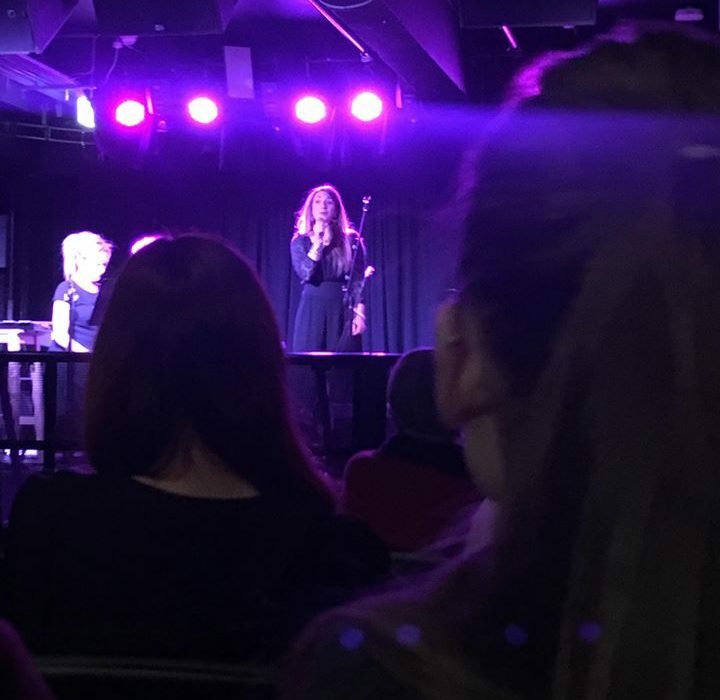 The event, which was organised by the University of Manchester French Department, was made up of an hour-long discussion with the singer, followed by a performance of some her favourite songs, as well as music from her new album, ‘Modiano’. Lucy Hope (The Chanteuse) outlined her musical influences which inspire her to cover the chanson genre. The English Literature and French graduate praised singers like Juliette Greco and Barbara for their deeply personal music styles, describing how Greco’s “inherent sensuality” and the way she “used her body to interpret her lyrics” made her songs so powerful. The Chanteuse described her passion for the chanson genre to be associated with her love of words. “I’m lyric mad,” she exclaimed. In this way, she is naturally drawn to songs which put lyric and meaning at the centre, songs which share a message, instead of being focused on the music. It is this lyric-focused approach that led to the production of her latest album, Modiano, which covers a collection of the famed writer’s songs. The Chanteuse described her appreciation of how Modiano approached “universal themes” in songs he wrote for artists like Françcoise Hardy. When asked about the difficulties of singing in another language, The Chanteuse described how she does always feel “a slight distance from being within the text… almost as if it’s in bubble wrap.” She explained, however, that this separation ends up making the feeling behind the music “more extreme”, for example, she reads a lyric “as more happy or sad as [she doesn’t] have the same nuance” as a native speaker. For The Chanteuse, the most important aspect of her music is communicating the message and emotions of a song with an audience which is not necessarily French speaking. After a short pause, we reassembled to listen to an assortment of Hope’s covers of songs to get a taste of her music style and to see how she has interpreted these French classics. In the short time we had, she covered an hour’s worth of her material with short intervals in between, explaining the context behind each song so that the audience could capture the tone and feel of the chanson. An interesting and unexpected aspect of her performance was the contrast between her bubbly personality and the serious tone with which she sang. Some of the songs she covered featured more gritty topics such as war and prostitution, but she juxtaposed this by captivating the audience with her personality and jokes in between each song. A highlight of the performance was ‘L’Aspire-à-coeur’, a song that starts with a rapid tempo and considerably slows at the point of the chorus. Overall, the evening was a fascinating insight into the world of ‘chanson’. The way Lucy Hope managed to convey the intense meaning of a song – in a language many do not understand – is a demonstration of the raw emotion in her voice. As we listened to her music, one cannot help but feel transported to the music halls of 1960s France.